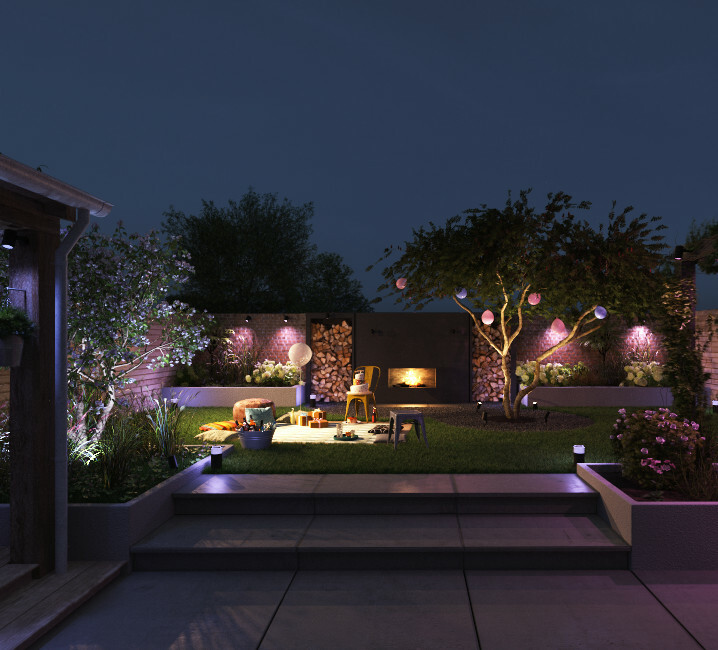 After offering almost every light fitting the chance to go smart with app and voice controlled lighting, Philips is taking its Hue smart lighting outdoors. One of the easiest ways to start transforming your home to a basic ordinary home to something smarter and more internet connected is the lightbulb. You may not realise it, but lightbulbs can be controlled using an app these days, and if you have a smart speaker in your life, your voice can be the very thing that tells them what to do. Turn on the lights in your home, and then turn them off. Depending on how many you have, you might be able to conduct a symphony of light inside your home, changing not just the amount of light they put out, but also colours, too. Outside, that’s a different story, or it was until this week, as Philips has launched outdoor variations of its Hue connected lightbulbs, arriving in Australia this month. Unsurprisingly, it’s called the Philips Hue Outdoor range, and that’s because it’s made of a range of little lights designed throw colour and brightness on your back- or front-yard, provided there’s a power-point somewhere nearby. While some of Philips’ Hue lamps work off batteries, the Hue Outdoor is plug-based, but it only really needs one power socket. If you have several, there’s a connection that allows the lights to be daisy-chained and connected to each other, drawing power from the one port and powering several if you have them. The good news, though, is that even though they’re not battery operated, they are water resistant, with Philips telling Pickr that the “outdoor fixture is specially designed for use in outdoor environments, and has undergone rigorous tests to ensure its performance and wet weather protection”, citing a design incorporating IP65 protection. That’s something the indoor Philips lighting lacks, but like all of Philips’ other Hue lights, you can control each bulb independently or in a group, with over 16 million colours possible from the bulbs, available from the app or controlled via voice on phone or smart speaker. That means it can also work in tandem with other Hue lights that might already be in your home, or just as new lights. “People already create ambiance inside their homes with lighting, tailoring it to reflect the function and feel of each space,” said Philips’ Sam Dearden. “Now we’ve extended this flexibility and freedom into the outdoors allowing for a personalised lighting experience at the simple touch of a button,” he said. The Philips Hue Outdoor range starts with a spot base unit pack which includes a starter plug, and will cost $169.95 at JB HiFi and Bunnings from today, while extension lights will cost $129.95 each. Meanwhile, a Hue outdoor bollard will retail for $219.9 at the same retailers with the starter plug, while $159.95 will get extra Hue bollard lights. You’ll find them in stores now.